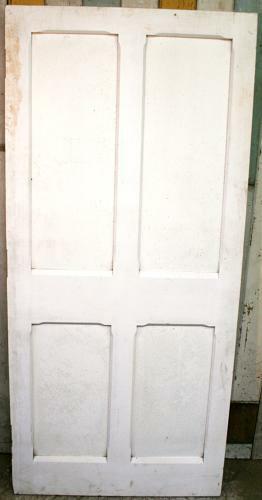 This door was made recently as a match to other doors in a house, dating to c.1880. The door is fully morticed and tenoned with Neo-Gothic detailing. The door is primed and undercoated ready for painting. To get back to bare wood would need sanding rather than stripping because it has acrylic undercoating, so we would recommend this as a door for painting.